Convert PDF tables into formatted MS Excel (.xls, .xlsx) spreadsheets for easy data analysis. 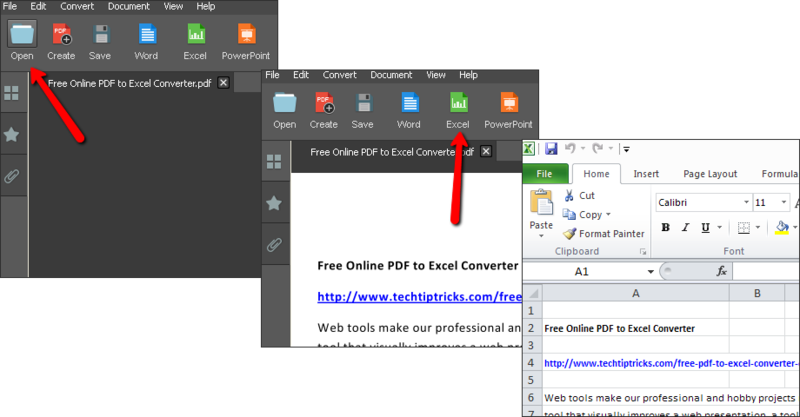 Convert PDF to Microsoft Word, Excel, Publisher and PowerPoint (.ppt, .pptx). Create PDF from any printable Windows Program. Use OCR to extract text from scanned PDF. New PDF to Excel custom-built conversion. New PDF to AutoCAD conversion. Convert your MS Excel spreadsheet back to PDF when you are finished with your analysis and changes in Excel. and secure PDF documents from virtually any printable MS Windows program imaginable. your PDF documents into more useable formats, including Word, Excel, PowerPoint and much more. your PDF documents. Modify your documents according to your needs by rotating, scaling, removing pages, and much more.